-- When it comes to the sizes of fishes and ponds, Valeria is a whale in a thimble. She harrumphs her daily way through her backwater Hungarian village, finding equal fault with the new, the old, the foreign and the familiar. Her decades of universal contempt have turned her into a touchstone of her little community - whatever she scorns the least must be the best, after all. But, on a day like any other, her spinster's heart is struck by an unlikely arrow: the village potter, long-known and little-noticed, captures her fancy, and Valeria finds herself suddenly cast in a new role she never expected to play. This one deviation from character, this one loose thread, is all it takes for the delicately woven fabric of village life to unravel. And, for the first time in a long time, Valeria couldn't care less. Valeria's Last Stand is a joyfully wise small-town satire that takes an hilariously honest look at later-in-life romance and the notion that it's never too late to start anew. 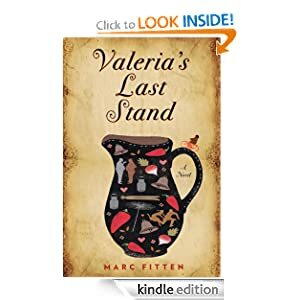 Valeria's Last Stand or to sample this book for FREE! Flora knows better than to take shortcuts in her family home, Crackpot Hall -- the house has eleven thousand rooms, and ever since her mother banished the magickal butler, those rooms move around at random. But Flora is late for school, so she takes the unpredictable elevator anyway. Huge mistake. Lost in her own house, she stumbles upon the long-banished butler -- and into a mind-blowing muddle of intrigue and betrayal that changes her world forever. Full of wildly clever plot twists, this extraordinary first novel establishes Ysabeau Wilce as a compelling new voice in teen fantasy. This book features a teaser chapter from the second Flora book, Flora’s Dare. 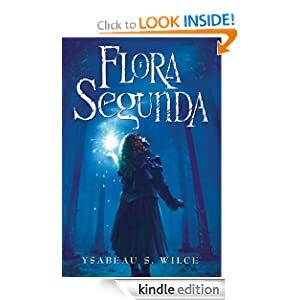 Flora Segunda or to sample this book for FREE! 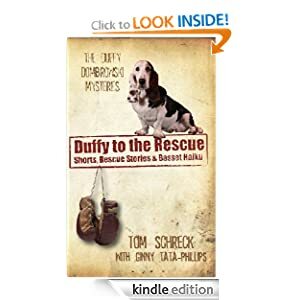 -- This anthology features Duffy Dombrowski Short Story Mysteries, world famous Basset Hound Haiku and heartwarming stories of triumphant basset hound rescue. If you haven't already fell in love with Duffy and Al get ready to with new short stories like "The Hound Who Went Moo" and with never before seen training episodes with Al like "Al and the Clicker", "Al Goes to Agility Training" and "Al and the Mexican Guy." The best selling novella "Planter's Punch," co-authored with JA Konrath is also featured teaming Duffy, Al and tough Chicago cop Jack Daniels. You'll get to meet the "Duffy Dogs of the Week" and read about the heroes who devote their time saving neglected and abused hounds. And throughout you can sit, ponder and revel in Ginny Tata-Phillips's unique Bassetku. Duffy to the Rescue or to sample this book for FREE! -- A Lovely, Indecent Departure is the riveting and emotionally-charged debut from a promising new voice in literary thrillers, and a captivating story of a mother's love and desperation set amidst the heart wrenching landscape of child custody. Anna Miller wants only one thing, her son, and she will do anything to keep him. When a district court awards custody of Oliver to his father, she abducts the five year old and flees to Italy where with her family's help they disappear into the fabric of her native homeland. Told in prose that is both stripped-down and overpowering, Gilbert shapes the everyday conflict of child custody into a stunning search for sense of worth. Standing in the young woman's way is Evan Meade, the boy's guileful and mean-spirited father, who hires a private investigator when the efforts of the embattled local sheriff, Monroe Rossi, fail to track them down. But as the investigation draws them all closer to Anna, Evan's true nature betrays itself and the question of what's in the child's best interest becomes not so clear anymore. 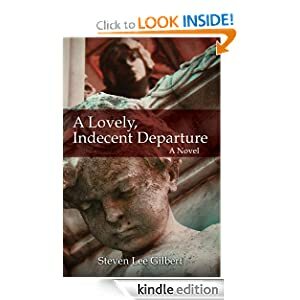 Objectively detailed, in a voice that refuses to intrude on the minds of its characters, A Lovely, Indecent Departure, captures in stark detail a world in which modern archetypes are turned upside down and shows what an extraordinary splash Steven Lee Gilbert has made with his first novel. A Lovely, Indecent Departure or to sample this book for FREE!